�Power Handling: 1.3A Motor Drive (2A peak), 4 light/switchable functions - each 150mA, 200mA max. �Harnesses: 90mm overall length, removable 9 pin JST, 8 pin NEM652 plug with wires dressed to UK standard. 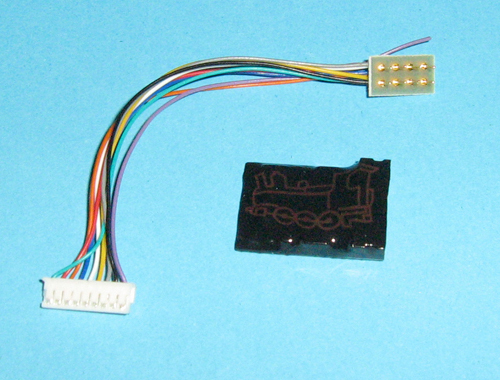 �DC Running: Allows running on both DC and DCC layouts with no adjustment, if your controller has a smooth DC output then your locomotive will run better than before! �Back EMF: Adjustment free Back EMF ability that will give perfect low speed control. Functions: The OPTI decoder has 4 functions which can be remapped, and are switched on and off via the function control buttons on your digital handset. As well as directional or dimmed lighting, there are a dozen different lighting effects available.